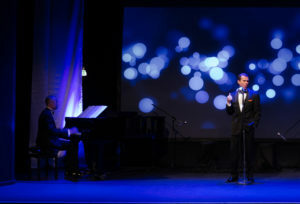 Frank Cognoscenti presents an intimate evening of Sinatra songs. of outstanding quality and nuance accompanied by his Musical Director James Treweek. Previous venues include Grand Opera House & Cabaret Club Belfast, Guildhall Guildford Fringe. Don’t Worry ‘Bout Me – Rube Bloom Ted Koehler.